Why should virtual reality convince you, if even reality itself is sometimes not convincing at all? 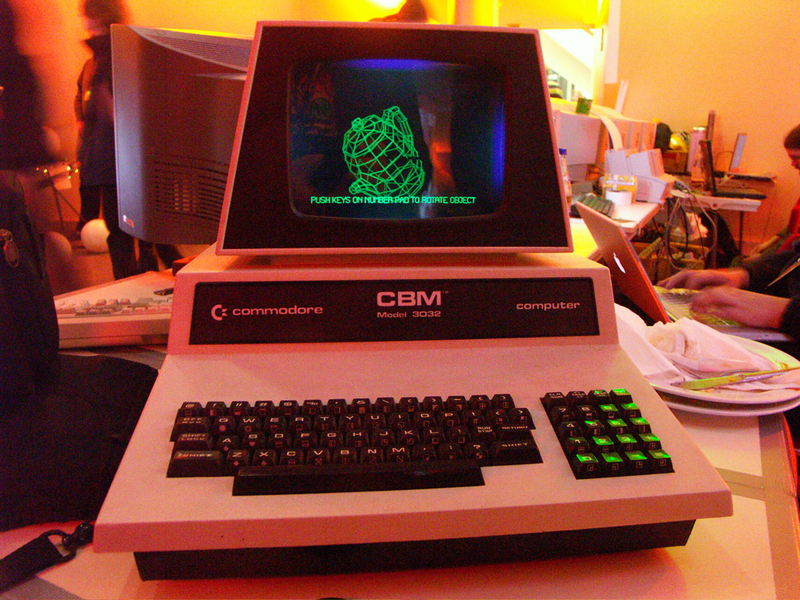 Grafikdemo is a physical wireframe model of a teapot inside a Commodore CBM cabinet. The model can be rotated by pushing keys on the keyboard. Sophisticated lighting of the model makes it hard for the viewer to distinguish whether he sees a real digital model or a fake computer screen. Grafikdemo explores the transition between reality and representation in a playful way. The decision of using a teapot as wireframe model is a result of this object&apos;s outstanding importance in computer animation history. To learn more about the relation between teapots and 3D animation, read the Wikipedia article about the Utah teapot. The video on top of this page shows the object in action. While the loud motors seem to reveal very quick, that the wireframe model is in fact real, many people who see the piece trust their eyes more than their ears and believe it is an outdated computer animation.